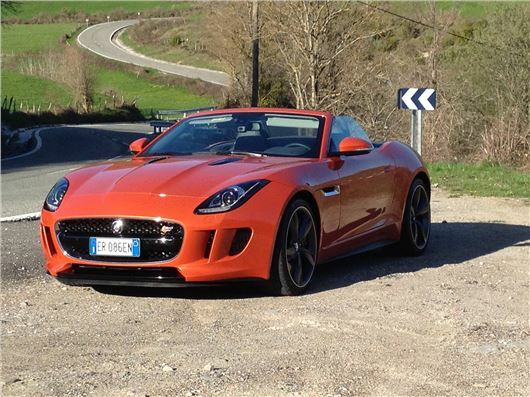 I have a 2015 Jaguar F-Type (still within its three year manufacturer warranty). Last month, I was driving over a speed bump and the Pedestrian Protection System (“PPS”) deployed, despite no kind of collision. JLR has refused to accept that this is a manufacturing or design fault, essentially stating that the system performed correctly. I can’t accept this and assert that it should be able to detect the differences between forces in hitting a pedestrian, for which deployment is reasonable, and those experienced driving over a speed bump. I now have a repair bill of over £5,000, not only to replace the PPS units but also the entire bonnet as the force of PPS deploying has bent the panel. Even if you accept the unit deployed correctly (which I don’t), having a device fitted to my car that can cause such extensive damage and costs to repair seem ridiculous. I have referred the case to the Motoring Ombudsman but would appreciate any advice or support you can offer. 'Which?' campaigned about this on the XF some years ago. We had one or two reports on XFs. None at all on F-Types. I'd simply tell the dealer to repair the car, invoice you for it and you will take the matter to Small Claims in the County Court. "Car not of satisfactory quality." Our 2013 Honda CR-V 2.2iDTEC (only 7,000 miles) has intermittent issues with injectors/engine management. It will cough/stutter/hiccup now and then, no warning light but has now started to suddenly cut out with no warning, leaving a warning light on the dash that the Honda dealer says is 'some sort of injector issue' but he hasn't a clue really. Has now cut out in dangerous places twice. It's only luck it hasn't caused an accident, they cleaned the injectors and said it wasn't the fuel filter (has always been serviced by them so they say it was replaced in 2016) so not sure where to start to find a cure. In the meantime we have no confidence in driving the car any distance or on motorways, etc because of the serious potential consequences if it cuts out at speed. Can you offer any advice please? For such low mileage you should not have bought a diesel. But it’s worth trying a dose of Wynns diesel fuel system cleaner or ‘Cataclean’ added to the fuel in your tank, then fill up and keep filling up with the same brand of Super diesel. I find Shell V-Power the best. Always before switching off the engine, open the car door and sniff for burning. If you are aware of great heat under the car, that is the diesel particulate filter actively regenerating and you need to keep the engine running until it has completed. I don't know what your thoughts are but the body shape of the new Focus reminds me of the previous generation Mazda 3 (2009 - 2013) and the rear looks awkward to my mind. Also, I think they've betrayed its heritage by only providing fully independent rear suspension on the larger engined models. The Focus was a frontrunner in 1998 but this is a backwards step. Having read about the 1.0 Ecoboost engine problems on the comments threads on your website and listened to a radio 4 program in which owners described constant failures, I hope they've got it fixed for the car. The 'good' new engine, first seen with 200PS in the new Fiesta ST, is the 1.5 litre 3-cylinder chain-cam Ecoboost. The problem with the 1.0 litre Ecoboosts was a weak union in the degas pipe taking superheated steam from the water-cooled turbo to the coolant expansion tank. Loss of coolant led to failure of the engines. I wanted to know if it’s a regular occurrence for an XJ8, after say 150,000 miles, to have a valve stem break? My car was running perfectly; never ever overheated, was regularly serviced and always driven (whether often in the country or seldom in town) with respect for the Jaguar motor. All of a sudden, after 150,000 miles, it stopped. There was a slight clatter in the motor and it is suspected (and corroborated by a professional motor mechanic) that a valve stem broke. Is this a common fault with XJ8s? Or is it just a one off and I'm the poor hapless owner? Is it then best to simply replace the motor? I am a 75-year-old female, living in France. I bought a new SEAT Ibiza SIGNO automatic in 2003, which has served me well. I now live on a narrow street in the centre of a town and have to access/exit a garage, with a steep drive. I don’t want to give up driving yet, but need an automatic with a higher seating position (I am only 1.5m tall) and good visibility. I am looking for a reliable and quiet vehicle that can be leased, to save on high initial depreciation costs. Can you please advise marques/models that you think would be suitable? The smallest automatics that are any good are the Hyundai i10 1.25 4-speed torque converter or the KIA Picanto 1.25 4-speed torque converter (they share the same engines and transmissions). Slightly bigger, a Suzuki Swift 1.0T Boosterjet 6-speed torque converter auto. Leasing isn't necessarily cheaper than owning because the leasing company will want to make a profit, but it does spread the cost. We bought a 2016 VW Golf 1.4 TSI last year. My wife cannot get used to the electric handbrake and does not drive the car because of this. I must admit I find it is taking too long to get used to it. We live in Cambridgeshire, where there are few hills to practice on. The Golf user manual is pretty hopeless and VW’s video just explains the feature, not how to use it. I think the best thing to do is replace the car with one that has a more conventional manual handbrake. Which cars do you think we could consider? In every other respect, we like the Golf very much and would want something of similar size, performance, comfort and features. At the last count, the Skoda Octavia (which is basically a Golf) still had a lever handbrake but the SEAT Leon had gone over to electromechanical parking brakes. The Citroen C4 Cactus still has a lever handbrake and benefits from excellent new seats and a new type of suspension damping that provides a comfortable ride. There seem to be so many engine cleaner additives, I'm befuddled. Are you allowed to suggest one (or more) that is trustworthy and works? If you have been using cheap diesel, use Wynns diesel fuel system cleaning additive and fill up with Shell V-Power diesel. After that, always fill up with Shell V-Power diesel. Nothing else. My wife has had a little financial good fortune and wants to invest in a new car. She will keep her existing 2011 Mini Cooper D for short trips and local shopping where parking is tight. She is looking for something else to take the two of us active retirees on long journeys and especially to go to France touring and wine shopping. She is not set on 4x4 but, living on a farm, it could be useful. However, she would like a JLR product as she has a contact in the dealership. Finally, some advice on petrol or diesel, lease or outright purchase would be great. We have owned our VW Polo TSI from 15th April last year. Since last August the fuel consumption has dropped from 56mpg to 46mpg. We took the car to our dealer and explained the problem. We are also seeing emissions from exhaust even after a 28-mile drive to work. The dealer carried out a check only to diagnose that there was no problem and the emission from the exhaust to be nothing but condensation. I have never heard of this before. He also told me it was cold weather and possibly my driving style. I also have a problem with the stop start, which he dismissed. I have taken my car for an oil service at 5,750 miles today. I explained the fuel problem again, only to be told I should expect to loose 20 miles per gallon in cold weather (this is complete rubbish). I must add that I am a lorry driver and travel to work Monday and return home Friday hence the low mileage. I am 62 years of age and was hoping to make this car last till retirement but am now unsure. I have driven VWs for over 40 years and this car is my 17th VW. I really like them, but I am concerned at the dealer response. Please can you help? 48.6mpg is the Real MPG average for a Polo 1.2TSI 110, and 47.8mpg for a Polo 1.0TSI 110. You might see an improvement on Shell V-Power if you use the improved torque at low revs to upchange earlier. Short runs from cold in the winter are a lot less economical than at the height of summer because the car says on an enriched mixture for longer (but you know that). It wouldn't make a difference of 20mpg. I have a Ford Kuga 2.0TDCI first registered in September 2016 and there is a re-occurring engine problem. The engine has a tendency to over run when in second, third fourth or fifth gears. For me, the most common occurrence is when in fifth gear I can drive along a straight level road at 30 mph without my foot being on the accelerator. My wife has had several instances when in either second or third gear she has had to brake suddenly so as to avoid colliding with another vehicle as the car has suddenly accelerated without her touching the accelerator. The problem was first looked at when the car had its first service towards the end of September. No defect was found although the car was in the service bay for over 5 hours. I then took the car back again in October and was taken out by a mechanic with a view to try and activate the problem. Needless to say, it ran perfectly. The mechanic advised that he thought I had two choices:- Take the car in for a day (he thought this would be a waste of time because he didn't think that the issue would be resolved). Or let the showroom have the car for several days for the mechanics to drive it around and see if the problem would arise. The car was taken in at 8.00 am on Tuesday 2nd January and, guess what, I received a call from the showroom service department advising that they had not been able to replicate the problem and what did I want to do. Apparently various mechanics have driven the car with it being connected to a computer but the issue did not occur. I was away on holiday for the whole of February and the showroom again had the car, but were unable to diagnose and rectify the problem. I have also taken the car to another Ford dealership. The mechanic took me out for a drive and started off without his foot on the accelerator, then went through the gears with the same procedure and advised me that the car would accelerate due to the anti stall device which was fitted. This I can understand, but it doesn't explain why the car will suddenly accelerate when in traffic. If one is close behind the vehicle in front it is quite likely that a collision could occur due to the sudden surprise. I should be grateful to receive your comments. The last mechanic explained this. You should never have been attempting to drive at 30mph in 5th gear. The minimum anti stall speed at which the engine will run will be about 1,000rpm, so if the gearing in 5th is 30mph per 1,000rpm the car will accelerate to 30mph with your foot off the accelerator pedal. To slow it down you need to change down to a lower gear. Best to drive in gears that keep the revs up to around 2,000rpm after a cold start anyway to help prevent DPF problems. I bought my Mercedes E220d saloon in September 2016 from a dealer ‘up North’ but have had it serviced and all faults dealt with by a Mercedes dealer ‘down South’ I describe the dealers thus because I am in the middle of a dispute with them over the unreliability of the alarm system. Mercedes Customer services (UK and Germany) have been involved and, after 3 weeks of ownership, they sent a voucher to spend in their online shop given the problems I was experiencing with the alarm going off. Since then I would think I have had in excess of 50 alarm activations, plus numerous sensor issues: Radar sensor, rear and front park sensors, rear camera not working or going on and off all the time. Battery issues and engine management warning lights. I have tried to reject the car, last year and again this year, but it has to be taken back to the supplying dealer: a lesson for others to consider because of the inconvenience if they have to try and fix these random problems. Each time it goes into the dealer ‘down south’ the problem is fixed, only for another or the same to re emerge in either 3 minutes, 3 hours, 1 week or 3 months. Mercedes says my contract is with the supplying dealer who is reluctant to supply a new car (especially after 18 months) given that another dealer is trying to fix the issues. A further suggestion has been made that external sources may be to blame, in which case hard luck: there is nothing more that can be done. I have been lucky to have had in excess of 30 cars in my life, yet my first experience of Mercedes has been dire. Any thoughts/advice or have others experienced such unreliability (8 weeks so far in dealer workshops). I had to wait 15 hours for Mercedes breakdown to attend the last issue. Fortunately I was in my own drive. The alarm activation is when vehicle is in my garage with the fluorescent lights on. Totally random: sometimes goes off within 2 minutes, 3 hours, 1 week or 3 months. Engineer was here from MB garage 3 hours last night and replicated alarm activation twice. Then nothing in the next 2 hours. Lap-top plugged in to vehicle showed internal sensor triggered. Both UK technical and Germany were involved during this. Screen shots and video being sent on today. I bought my BMW 118i brand new in March 2012 from BMW Park Lane in London. The car, only used for short journeys around London, hence very low mileage, has suffered a fair amount of minor faults for which I have taken it every time to my local BMW dealer in Kentish Town. It has full service history at this dealer, too, having taken it there for every service and every fault. At the very end of December 2017 the car was not running properly and a warning light came on. I tried to have it looked at on the first opportunity after Christmas, calling them on 2nd January 2018, but the garage was too busy and told me to bring it later, on January 11th. On the evening of January 10th, I received a call from BMW to tell me they could no longer look at my car the following day as they were too busy, thus cancelling my appointment (despite knowing of this warning light and that I was fully dependent on my car as a single mother of two boys at school some distance away). They told me it would be another couple of weeks before they could look at my car. I told them I was worried about continuing to drive it as the condition was getting worse and it felt like it was going to cut out every time I stopped. They told me I was welcome to leave it there but they couldn’t say how long before they could look at it. It was running so badly I was concerned and started driving it there but only got as far as a local (non BMW) garage. The very kind owner told me there is an inherent problem with my model and he wouldn't touch it because it required major work to rectify and must be seen by BMW. He was very helpful. He told me I mustn’t drive it but that he would get it to BMW for me and try to get them to at least look at it sooner than the two more weeks they had told me. BMW repeated that they were too busy to look at it and warned me that it would cost a lot just to inspect it to find out what was wrong. I phoned BMW head office out of desperation and they said each BMW garage is independent and nothing to do with them. I pointed out to BMW that was this affecting their reputation and they did eventually chase the garage. Weeks past without any update. I continued to be palmed off every time I phoned. Out of desperation, I hired a car at great cost to myself and after 2 weeks eventually persuaded the BMW dealer to lend me a car whilst I waited for them to examine my car. Now, over 3 months later, they have stripped the engine and have finally written with an estimate of the cost of repair. BMW is willing to contribute 50% of the parts cost. Parts value £3600 + VAT. I will need to cover £1,800 + VAT, plus labour of £3,742 + VAT, so a total repair cost of £5,542 + VAT, which is more than the value of the car in running condition (although I believe it to be worth closer to £8000?). Surely if BMW say they will pay for the part this is an admission of liability and they should pay the full cost? Was my helpful little garage right and is there an inherent defect and can you help a single mother of 2 boys recover her car repairs and should BMW pay the full cost and my car hire, or compensate me (as it would not make sense to repair my car), so I can replace it. It seems to be that a young, well looked after and very expensive (to me!) car should not be effectively a write off, good only for scrap metal. I feel I am up against an indifferent dealer and BMW and would greatly appreciate your advice and help. I booked my BMW X4 in for a service this week and they told me it is part of the recent major recall of over 330,000 BMW's. They can't get the car in for over two months due to the huge number of cars that need recall work, this means that the service will fall outside of the recommended mileage and time. The service adviser did assure me that my warranty will not be affeted though. It seems that BMW have got a major problem on their hands. It seems BMW as well as Vag and Mercedes products are not up to much these days and are living on their past reputations. Having owned models of each marque in years past, they always felt an upmarket product, I've recently driven the new Mazda 6, Mondeo and Insignia, as I'm looking for a large saloon car, I don't like SUVs or crossovers, and found all three very impressive. The Mazda 6 was certainly better than an Audi A4 for example, although the diehard followers of German cars will probably proclaim I need medical attention. Personally my hard earned money goes for the reliable choices. agreed, recently switch to a Mazda CX-5 Sport Nav, cracking spec, comfortable drive and very much value for money. Looked at 9 different brands of similar sized SUV with Mazda & Skoda being the ones we rated stand-out and affordable. German brands were lower spec and much more costly by the time you added options that the Mazda has as standard, including 10 speaker Bose and HUD (A.D.D.). Good grief, JM, Leicester and his wife are as big a numpty as my wife. She is continually trying to drive our car at 28mph in 5th gear because 'it saves petrol.' Well no because it strains the engine and as you found, the engine will try not to stall so ups the speeds. As for JH and his intermittent alarm, he states it only happens in his garage when the fluorescent lights are on. The process of elimination should surely be does the problem occur outside the garage when the fluorescent lights on and off? If the problem does not repeat, does the problem appear in the garage with the fluorescent lights off and with a different light source? If the problem is still present with the lights off, has he got a wifi device in his garage such as a smart meter (dont laugh, Im serious!) or to control his boiler etc? 7k miles in five years, for a Diesel? I'm surprised the car took that long to show problems. At the work, where the vans are used just for short runs, some genius decided for Fiat Doblo. After no more than 6 months, every single one had to have daily forced regeneration, and quite often the oil changed due to diesel contamination. Some no so rare cases of engine damage. For EVERY modern Diesel vehicle, unless the mileage is high enough to save on fuel to offset the higher maintenance costs of a diesel engine, and not many short trips are done, the diesel should be avoided, unless it's the only choice, but then, to avoid problems, few actions are necessary, as constant oil's level check (much more often than the usual), the need to keep driving, to allow the regeneration to complete, and NO SAVING using cheap diesel. Or perhaps go for slightly older diesel vehicles that don't have DPF filters, but have been looked after well during its life (possibly with a FSH). Interesting comments about BMW and other German makes. I'm thinking of trading in my Q3 for either an A5 Sportback or a Lexus IS. The best cross over I've seen (but not driven) is the Volvo XC40 - certainly prettier than the overpriced E-Pace and the Alfa Stelvio. Good comments gildermania.